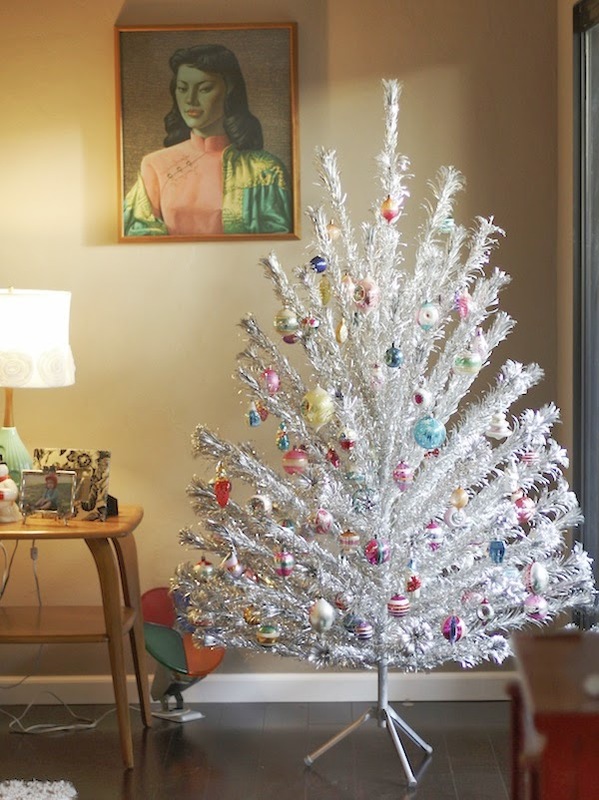 This is actually our first Christmas with an aluminum Christmas tree. I can't believe it's taken us this long to get one because it really is like the prettiest thing, EVER! We bought the vintage tree on eBay back in the beginning of November and it's safe to say that I went a little crazy with the ornament shopping over the past month... let me tell you people, it was a complete addiction and quite frankly, my wallet is crying right now. BUT the tree sure looks pretty and that's all that really matters in the end! The ornaments are like delicate little baubles hanging from each branch. It really does just sparkle. 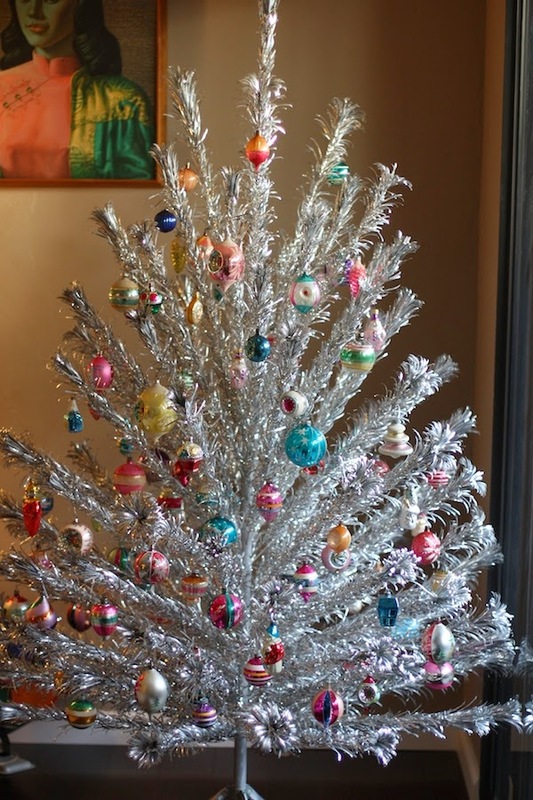 I purchased the ornaments at swap meets, antique malls, and a few from Etsy and eBay. All of the ornaments are from the 1940s to the 1960s. There are even a few from the 1930s. Crazy, right? Seriously though, Christmas is the BEST! Hope you guys are all having a fabulous holiday season! 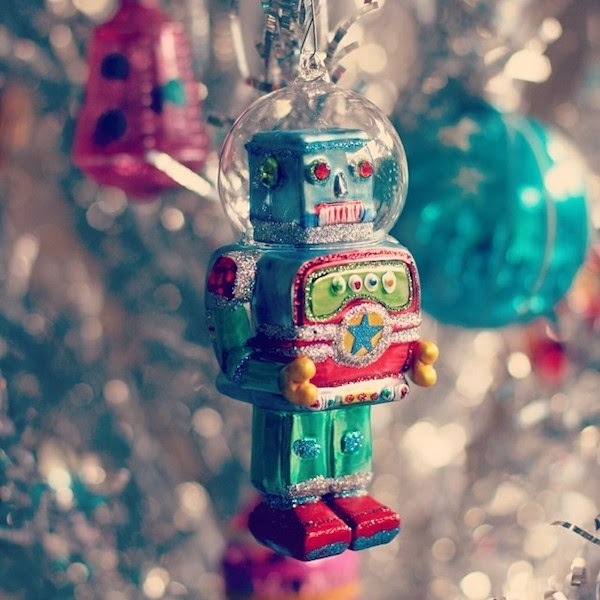 Check back soon because Candice is sharing pics of her aluminum tree later in the week! Please, please, please tell me I can purchase that robot somewhere?